Please allow 1-2 week for delivery, these are all custom made to order. Call if you need expedited delivery. 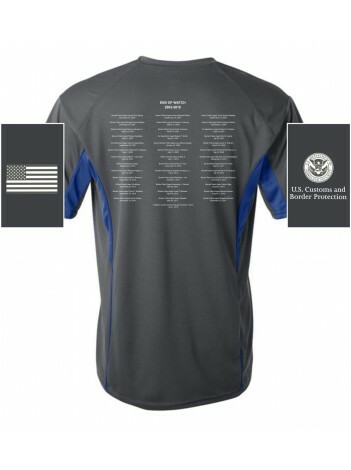 CBP OFO's 5K shirts. Graphite grey body with royal blue sleeve accents. White ink. 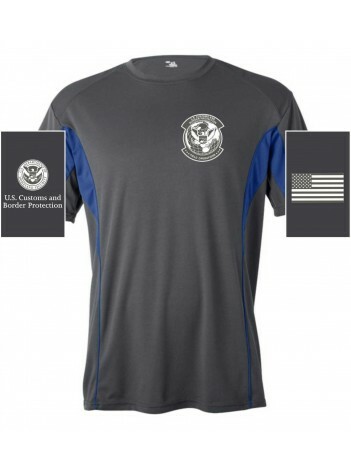 Description: Benefit from the performance advantages of this 100% Polyester tee, complete with moisture management and antimicrobial features.